In our family nothing says Christmas like Gingerbread Cake, and my Chai Gingerbread Cake recipe is a delicious blend of classic gingerbread cake with chai spices. Just the smell of baking gingerbread cake invokes memories of Christmas past. Since my children were little, gingerbread cake has been a family tradition that I’ve continued year after year. And your family will love this recipe too! I decided my classic gingerbread cake recipe needed a twist this year. I literally spiced things up with a blend of chai spices to enhance the overall flavor. The recipe turned out to be everyone’s new Christmas favorite and it can be yours too! Using a spice grinder or food processor, grind together fennel seeds, cloves, cardamon seeds, cinnamon, and ginger. Reserve 2 teaspoons and store the rest in an airtight container in a cool dark place for up to one year. Preheat oven to 350 F. Butter a 9-by-13 inch pan and set aside. Combine water with baking soda and set aside. In a large bowl sift together Chai spices, flour, and baking soda. Set aside. In another large bowl, cream butter. Add sugar and beat until fluffy. Beat in molasses and baking soda mixture. Beat in flour mixture. Add eggs and beat well. Pour batter into pan and bake for 35 minutes (a toothpick inserted in the center should come out clean). Cool on wire rack. 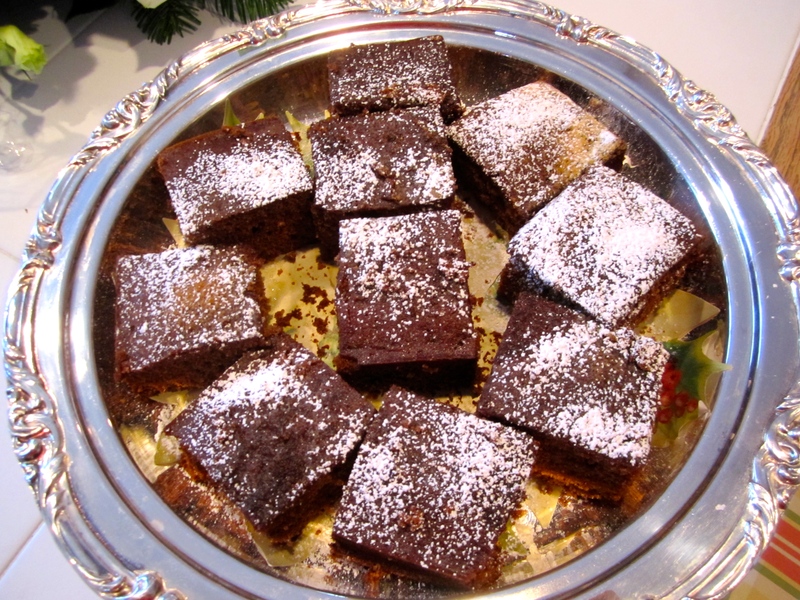 To serve, dust with confectioners’ sugar and cut into squares. You can serve with whipped cream as well. Pour cream into a well-chilled bowl (I like to but my bowl and beaters in the freezer) and add the sugar and vanilla. Using an electric hand mixer or balloon whisk, beat the cream to the desired consistency. For soft peaks, the cream will be just thick enough to hold its shape in soft billows. For stiffly beaten cream, the beaters or whisk wires will leave distinct traces on the cream and stand in firm peaks when the beaters are lifted.